WWE Superstar Mike "The Miz" Mizanin is back as American hero Jake Carter in an all-new thrill-packed Marine adventure. Now in the private sector, Carter is assigned to protect a "high-value package" – a beautiful whistleblower trying to expose a corrupt military defense contractor. But a heavily armed team of mercenaries has been hired to kill her, along with anyone who gets in their way, and it's going to take a fearless one-man fighting machine to stop them. Co-starring WWE Diva Summer Rae in her feature film debut, The Marine 4: Moving Target is locked and loaded with explosive action from start to finish. I can't believe it's been almost ten years since the first 'The Marine' movie. Back in 2006, WWE thought it would be great to make a film with one of their biggest wrestling superstars John Cena. They put him in the lead role of a movie called 'The Marine', in which he indeed played the Marine. They even got Robert Patrick and Kelly Clarkson to star in the film. That was nine years ago. The sequel starred WWE superstar Ted Dibase, and the third film starred former Real World star and current WWE superstar Mike 'The Miz' Mizanin. Since The Miz did such a good job on Part 3, they brought him back for the fourth film in the WWE franchise, which has seen some moderate home video success. Make no mistake about it though, 'The Marine 4' isn't going to change the action genre in any way, shape, or form, but there is enough quality talent here to make the film look bigger and greater than it actually is. It's a simple and very run-of-the-mill action movie where it consists of only gun fights, hide and seek, and more gun fights. That being said, the fight choreography with fists and feet, as well as the mass amounts of gun play looks insanely good. So if you're a fan of mindless action with great gun fights, you'll be satisfied with this fourth installment from the WWE universe. 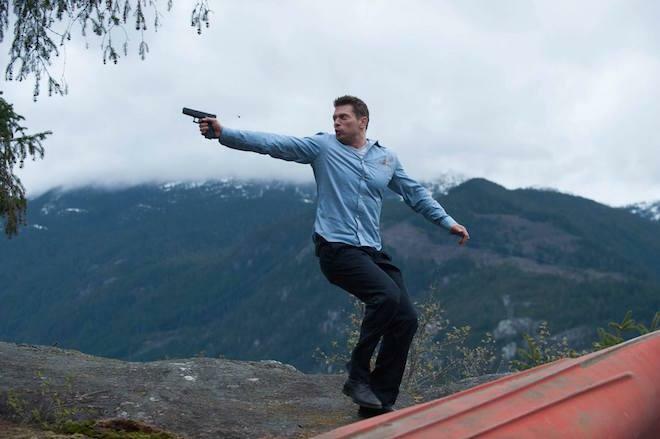 The Miz comes back as former Marine Jake Carter who is tasked with looking after and escorting a young woman named Olivia Tanis (Melissa Roxburgh), who is the whistleblower for a major company that was responsible for some shoddy military uniforms. Olivia arrives back in the USA in order to testify against the company, but as soon as she steps foot on the soil and is enlisted in the care of The Miz, a ton of bad guys attack them with what seems like all the guns in the world. 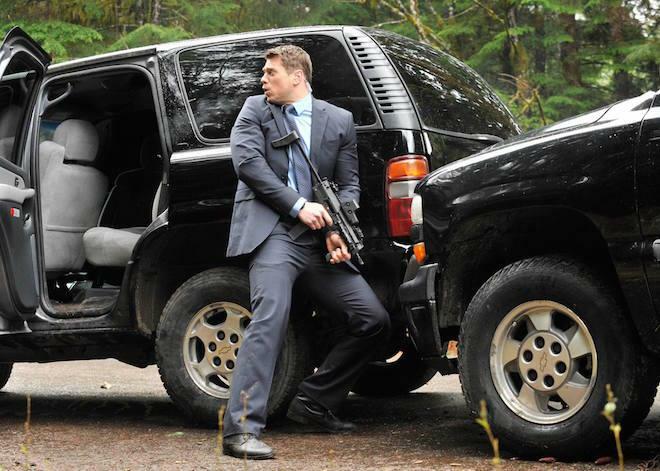 It seems like there is never a shortage of bad guys or guns here, as The Miz and Olivia have to escape each obstacle in their path. The film never slows down, which is unfortunate for our pair of protagonists here, because it seems like they are always in peril, dodging bullets, fists, or knives. But hey, that's a good thing for us, because it keeps us interested in seeing the next fun death sequence or the next cheesy line of dialogue, which is all through this fourth installment. In fact, one of my favorite lines in a movie this year is from 'The Marine 4', which happens at the start of the film and goes from taking the SAT's to 9-11 in only a matter of seconds. It's damn near perfect. You don't need to pay attention to any of the sub plots or story really, because in fact, there really isn't any. Just pay attention to how well the fight scenes and gun play is staged here. The bloody squibs go off nicely, and each punch and kick packs a forceful hit. It was good to see WWE Diva Summer Rae is in the film too as a sniper, but for some reason, they left most of her scenes on the cutting room floor and is barely in the film. The Miz and Tanis deliver solid performances. The Miz is easily likable and believable as the badass he portrays in this movie, whereas Tanis does a good job of of mixing her harmless and strong side into one cohesive character. 'The Marine 4: Moving Target' is a surprisingly well made film where action scenes are concerned. I can't say the same about the dialogue, but hey, what do you expect from the fourth installment of a WWE franchise? 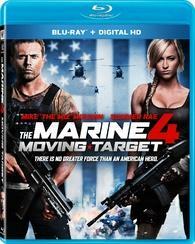 'The Marine 4: Moving Target' Comes with an excellent 1080p HD transfer and is presented in 1.78:1 aspect ratio. Surprisingly, this low budget action movie looks amazing on every level. If only the film itself was as good. The detail is crystal clear, vivid, and very sharp. Closeups reveal each individual hair, bead of sweat, ounce of blood, and wrinkle perfectly. The military uniforms and sleek suits show the intimate stitching as well. Since most of the film takes place in a wooded area, you can see every imperfection in the bark of the trees and the lines in the leaves. I was surprised just how much detail showed up here. The colors pop off screen throughout. Their bright, bold, and well-balanced. The blues, greens, and browns are earthy and realistic. The skin tones are very natural and the black levels are extremely deep and inky with no evidence of any crush. There were zero instances of any problems or compression issues, leaving this video presentation with flawless marks. 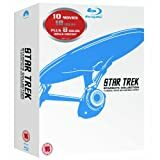 This release comes with a great lossless DTS-HD 5.1 audio mix and never lets up in terms of gun fire, which is because most of the film just consists of gun fights. Luckily, this audio presentation delivers the goods. The sound effects of the gun blasts, no matter if it's a shotgun, an assault rifle, or handgun, all sound excellent and full. They're loud and pack a good punch. There is also some great directionality with this here too. Each surround speaker will get a full workout with these gun fights. In addition to the gun blasts, the explosions, wilderness sounds, and vehicle chases all sound robust as well and are well layered and balanced throughout the entire movie. The score has a hardy sound to it, but it never drowns out any sound effect or piece of dialogue. Speaking of the dialogue, it's always crystal clear and easy to follow, and free of any pops, cracks, high shrills, and hiss. The bass rumbles during the heavier action scenes, but is never to rocky. The LFE is excellent and the dynamic range is very wide, leaving this audio presentation with excellent marks. Firepower (HD, 11 Mins.) - This is quite a fun extra that gives us a look at some of the technical supervisors on set who trained the cast with all of the guns and explosives. They even gives us a look at the practical effects in the us of squibs. Pretty cool stuff here. The Franchise (HD, 6 Mins.) - This is a extra that gives you a look at the past three films. If you haven't seen the past three movies, give this a quick look to get a recap of sorts. Beauty is Dangerous (HD, 5 Mins.) - Here we have the cast getting all the fun makeup effects applied to their faces. Trailers (HD, 14 Mins.) - Trailers for other films. 'The Marine 4: Moving Target' is quite a fun film. It never has plot or story down to well, but the action is very satisfying. If you're looking for a fun, short action film with great gun play, this movie will fill your need. The video and audio presentations are both top notch here and the few extras are worth watching. Believe it or not, 'The Marine 4' comes recommended.